This is the first of an undetermined amount of posts (Ooo so suspenseful) on basic garments what every woman should have in their closet. This series is inspired by a 4 week EU trip I am taking in June in which I am only bringing a small tote and 20 inch suitcase. YUP, you read that right. If you know me well that is generally what I pack just to go to work on a daily basis. Sooo therefore basics are going to be my go-to! A lot of people think their wardrobe is boring because it is full of “plain clothing,” but in reality high quality, well-fitting “plain clothing” is the best thing you can add to your wardrobe!! Think Jackie O, Coco Chanel, Audrey Hepburn…now close your eyes and think of someone in your life who you think is super fashionable. OKAY so next time you see me (or I guess next time you see that other person you thought of instead of me?) take a good look at what I’m wearing, chances are 90% of my outfit consists of a basic attire (plain white tank, plain black pants, nice jeans, etc.) and not asymmetrical/trendy/printed pattern on pattern stuff. I jazz up outfits with certain trendy accents, but the basics are the building blocks. Well-fitted, high quality basics being the key. With that said, I would say it makes sense to spend more ca$h money on the higher quality basics. Feel free to get all that trendy stuff at Forever 21 or Target on super sale as it probably will only last a season or two any way. Just please don’t buy a Hawaiian shirt. Ever. 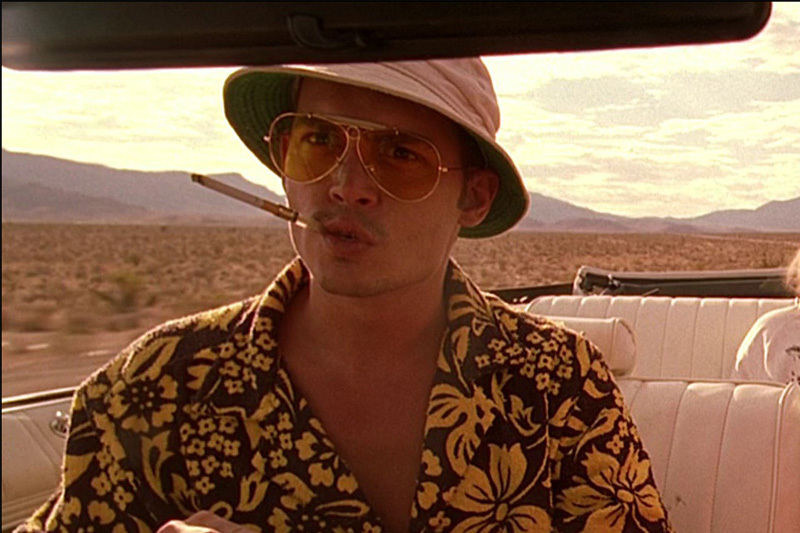 Unless of course you are Johnny Depp in Fear and Loathing in Las Vegas, that man looks good in anything. 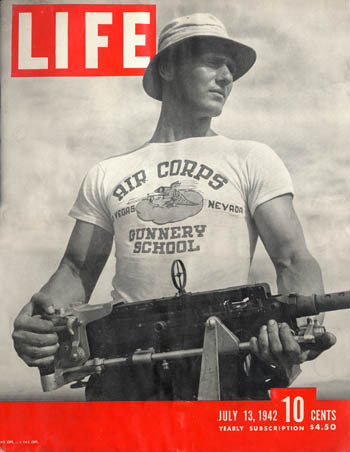 For you history buffs out there the T-shirt originated in the military and was worn under uniforms. Ever seen those vintage pics of musclely men relaxing with their white t’s and camo pants on? (hubba hubba) Okay history lesson over, sorry nerds this a fashion blog. Ooo look I combined a lot of basics here (white t, black blazer, black pants) with a statement necklace and trendy heels. See what I’m saying here? You can do a ton of mix & matching with these pieces as well. And I made this T-shirt totes apropes for work (ew did I really just say “totes apropes”). Hooray Spring weather is here in New England! Well at least some days out of the week….between the hours of 10-3. 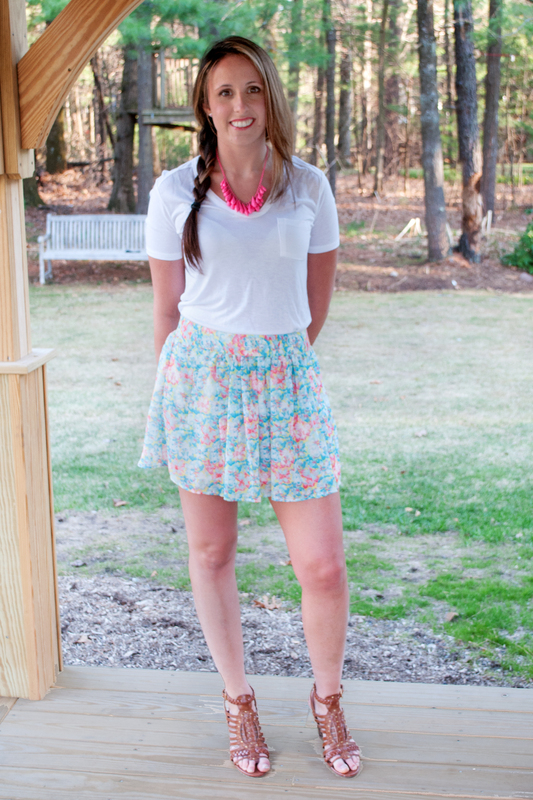 This outfit is semi-casual and is good for a date or frolicking in a meadow of daffodils. Don’t I look trendy? Little do you know this is basically a step above pajamas mwhaha. I did a little pattern mixing with the scarf and camo toms. Also, I love the top knot hairdo, super easy, but looks super chic. Do it. So quick, go out and getcha self a white t before they’re sold out! If you are nervous about adding it to your repertoire (it can be scary!) go with the Hanes women’s T, and if you like it try one of my other suggestions that fits your body shape well. Until the next Basic Series post, au revoir (I’m practicing for Paris, I know goodbye and cheese so far..)!